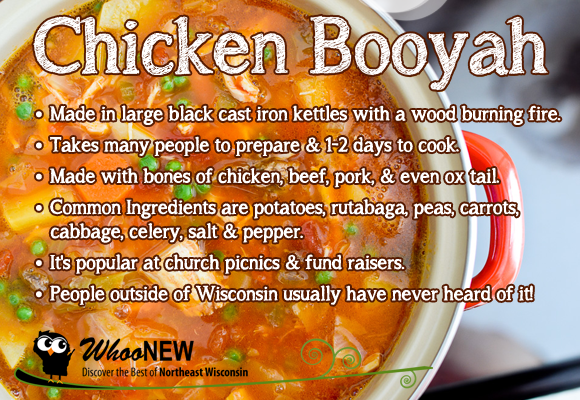 Chicken Booyah – that hearty concoction of scrumptious broth, tender veggies and shredded chicken has been a Wisconsin favorite for more than a century. But have you ever wondered how booyah got its name? Where the recipe came from? Or why it’s such a popular dish, especially in Northeast Wisconsin? I started looking into it, and discovered an interesting story about how a simple mistake played a big part in this tasty tradition. I soon learned that I’m definitely not the only person to ever try and uncover the story of how booyah came to be! A librarian in the genealogy department at the Brown County Library got a little annoyed when I told her I was on a mission to find the origin of Chicken booyah. Knowing that it’s such a big deal to so many people only got me more excited to solve this mystery! The truth is – it really would be impossible to find the first booyah recipe. That would be like finding the original pot of chili. It seems there are as many “original” booyah recipes on the web as there are people claiming their family invented it. I learned that people have been trying to figure out where this soup came from for years! My initial research started where it does for a lot of people – Wikipedia. The entry on booyah mentioned a Press Gazette article that may explain why we’ve been calling it booyah for all these years. In 1906, a man named Andrew Rentmeester took over as the teacher at the Finger Road School in Green Bay. When he got to the school, there were no books for the kids – so he decided to organize a fundraiser to raise some money for much needed school supplies. He went around town collecting chickens from the school children’s families. Then he went to the Green Bay Gazette to put an ad in the paper in hopes of raising some publicity for the fundraiser. When the reporter asked him what they’d be serving at the event, Andrew told him “bouillon,” which is the french word meaning “to boil” or “soup”. When the reporter asked him how to spell it, Andrew said “B-O-O-Y-A-H.” It probably seems a little strange that a teacher wouldn’t know how to spell bouillon correctly. He had a valid reason though – as I found out later. But, it was printed that way in the paper and the soup was called “booyah” at every fundraiser after that, including the annual fundraiser Andrew started at Holy Martyrs of Gorcum church the following year. In the comments section, a man named Dan Rentmeester mentioned his grandfather, Andrew Rentmeester’s booyah recipe. He called himself “the grandson of the Father of Booyah.” This piqued my interest! I was able to find Dan Rentmeester in the White Pages (after calling the wrong Dan Rentmeester first). He told me that the person I really needed to talk to was his 94 year-old uncle, Lester – who is the son of the schoolteacher Andrew Rentmeester. In fact, Dan said he was just over at ol’ Uncle Lester’s house for Chicken Booyah a few days before I called! 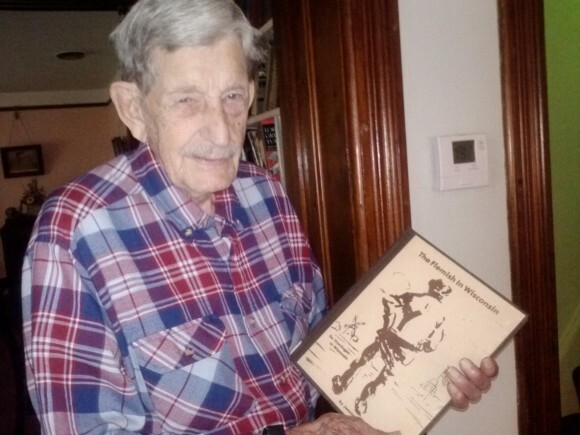 Lester Rentmeester is well-known among local history buffs. He and his wife Jeanne wrote a book called The Flemish in Wisconsin. In most of the articles I’ve read, Booyah has a Belgian background. Supposedly the Flemish or Walloon immigrants (both from different parts of Belgium) brought this style of stew-like soup to us when they settled in America. Dan gave me Lester’s phone number, and I called to ask if I could stop over for a visit. Lester told me his home is the second oldest house in the state of Wisconsin, and it also contains a small museum full of photos and artifacts with a local connection. Lester’s home was built in 1826 by his wife’s great grandfather and fur-trader, Joseph Roy, the same man who built the oldest house, Tank Cottage that now sits at Heritage Hill. 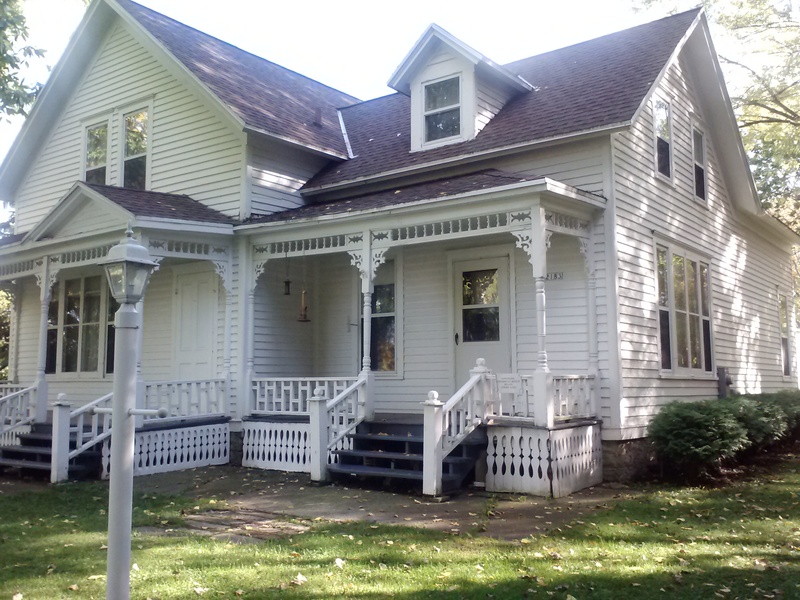 Lester’s famous Wisconsin home is known as the Angeline Champeau Rioux House and is listed on the National Register of Historic Places. I got to Lester’s house hoping to get the full history of Chicken Booyah. But he was all set to give me a tour of his historic home and the Angeline Champeau Rioux House Museum. I got to hear stories of everything from the history of Duck Creek, to the rock quarries and the Menominee Indians who once inhabited the area. Les joked that he was giving me the $2 tour, but I hope he wasn’t serious – I did see a little jar for donations inside the museum! Oops. I do know the Belgians are supposed to be pretty frugal! Lester is such a sweet man. He didn’t sit down once the entire hour I was there – even when I did! He kept telling me how he loved the name Ashley. That it reminded him of Gone with the Wind. I found out Lester had earned his B.S., M.B.A., M.P.A, and D.P.A. degrees. 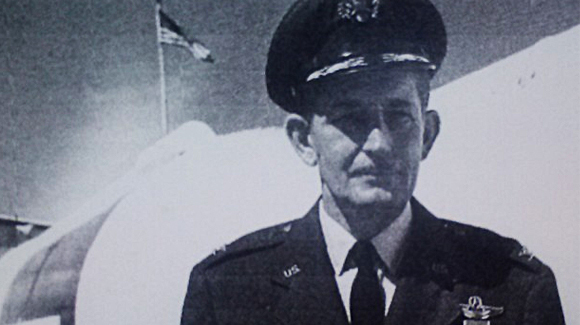 He’s had a 31-year Air Force career, including 30 combat missions as a B-17 pilot over Europe in World War II, and was chiefly involved in research and development programs. Lester taught graduate courses after he got out of the military, he has written eight books (7 with his wife, Jeanne) and dozens of articles in journals like American Heritage. He was even a painter when he lived in Germany. As far as booyah goes, he confirmed the whole story about his father, Andrew, the schoolteacher. I asked Lester why he thought his dad wouldn’t know how to spell bullion correctly. He told me his dad was a lumberjack before he became a teacher at age 21. He also didn’t speak or read French. He was a very smart man though. He taught all nine of his own kids – including Lester. Andrew’s mother, Mary (Watermolen) Rentmeester, actually came from Belgium and she spoke French. It was also his mother’s soup recipe that was used for the Finger Road school fundraiser. And – can you guess what he was having for dinner that afternoon? Yep – leftover Chicken Booyah from the weekend before. I should of asked him for a taste! Ha. From what I read about Belgian soup, it was more of a clear broth with celery, onion, salt and pepper. The Belgians were very frugal and this soup was a great way to feed their large families for a small cost. “From the Walloon point of view, the original “Booyah” was bouillon– a broth made from boiling a chicken with onion and celery, salt and pepper. The chicken was taken from the pot when sufficiently cooked and used as the main course of the meal, and the broth served in individual bowls. An additional bowl of rice was put on the table with each person adding what he wanted, if any, to the broth. This was related to me by a woman of Belgian descent, born in Kewaunee County in 1895, who lived to be 95 years old. As a young person, she had never seen the style of “booyah” as we know it today. With the Belgians’ penchant for frugalness, nothing was wasted. Bits of leftover vegetables gradually were added to the chicken broth– and later, the chicken, too – to make a more flavorful soup, almost a one-dish meal. So – when it comes to the recipe, I’m not sure we’ll ever find the one that started it all. But as for the name “booyah”, I do think a simple misspelled word is what helped it turn into a cultural phenomenon! I believe in the Finger Road Schoolteacher story. I think it makes a lot of sense for how it got its name and the reason it’s traditionally served at many fundraisers and church events. Either way, let’s just be glad we’ve got super tasty soup to enjoy as well as a fun Wisconsin tradition… thanks to our great blend of family backgrounds and cultures! If you’re interested in the recipes by the Rentmeesters, here they are! Boil (covered) until tender four pounds of chicken and one cup of diced beef with salt. Add one half cup of pork and cook. Dice one bunch of carrots, four stalks of celery, one-and-one half quarts of potatoes, one-half medium cabbage and three large onions. Add two-thirds package of split peas and cook until tender. Add one can of tomatoes, one can of pork and beans and one can of tomato juice. Add one-fourth pound of butter and the juice of one lemon. He even uses an ox tail to flavor the broth! Do you have a good booyah recipe or an argument for why your family created the original? Let’s hear it! 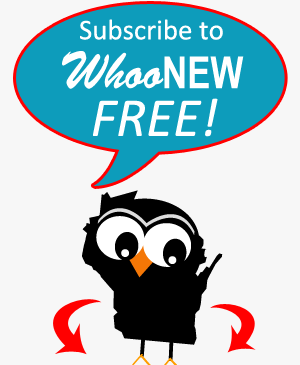 Don’t forget to Like WhooNEW on Facebook for more fun and subscribe to WhooNEW for free at the end of this article! In Kentucky they have something similar called Burgoo which may also have okra and butter beans in it, and it tends to be thickened more like stew. Can be cooked for days until it is all mush. This soup or stew is definitely from the French Belgians, it’s taken from the French cassoulet, a long simmered stew of beans, veggies and an assortment of sausage, beef and duck. When I was first married we lived in Denmark, WI & we’d see signs for chicken booyah at most local taverns/restaurants & never once tasted it. Now I want to try making it, as I think I missed something special in our Wisconsin history. Loved the article! Wendy,,you just missed the big booyah cook off…Last weekend of October…Let me know when you are coming back to Denmark,,I’ll find you some booyah or have someone make a batch…..Dave Larsen…..
LOVE chicken booyah and make it often. My mother being both kinds of Belgiun made it often for her large family of 10 children. Ours is a very frugal recipe indeed. A simple recipe of chicken, cabbage, celery, onion,carrots, potatoes, and peas. Do you have a recipe. I would love to try making it. I’m sure it can. People make big batches and then freeze them in serving size containers. Someone else asked about a recipe. It’s simple but people make their own variations. You need to stew a chicken,cook it whole overnight, bones and all (not guts). You reserve the broth, of course, as the booyah base, and you add beef bone, potatoes, onions, carrots, peas – all fresh – if you’re adding frozen, you might wait until a couple hours before serving. Some people add tomatoes and cabbage – ugh! Not Hannon booyah. I’ve never made it myself, but I know what goes in it. And you salt and pepper to taste. You can add a little hot seasoning if you like. But Hannon’s is the first, and basic recipe. Thank you so much, I appreciate the information! Les is my Great Uncle. He often has family gatherings at his house. My six year old son loves just sitting by Uncle Les and listening to stories of family and adventure. This past year they sat near the apple orchard eating booyah just chatting away. I dont know what they said but, I am sure it left an impression on Lyrics heart forever. That’s cool, Susan! What a great uncle to have too. I’m sure he taught your son things he’ll never forget ; ) Thanks for stopping by! shocked about the librarian story! :). Ask her if U are related to Adele Brice and she gets funny too; :). Dan Rentmeester’s recipe minus the beans! NO corn or beans, green or otherwise! got my recipe from my Belgian/German grandparents who lived in GB! You must have talked to Mary Jane Herber – she called me that night to ask how long ago my great-grandfather was making it. He made booyah in 1895, and my mother introduced it to St. John the Baptist picnics by the early 1950s. Booyah is Walloon Belgian for soup. I told Mary Jane that if anyone can claim to have made it earlier, Alex Hannon would give up the crown. Sorry, this story is NOT the oldest. Thanks for the info, Monette. We weren’t really trying to say the Andrew Rentmeester story was the oldest. As noted in the article, and as you mentioned the soup itself came here with Belgian immigrants. What this story looks at is why we call it “Booyah,” which is what the Finger Road Booyah fundraiser story explains. We fully realize that chicken booyah/bouillon was being made before the 1906 date mentioned in the article. Remember, bouillon is the French word for broth. Walloons do not have their own language. Walloons speak French. So I believe you are mistaken when you say “Booyah is Walloon Belgian for soup.” Our story suggests that booyah is the “Wisconsinized” word for bouillon. Hi Kasey, Sorry but the Walloons do have their own dialects (mostly Picardian dialects). It is French-like but a Parisian would not understand. Just as the Flemish have dialects that a person from A,sterdam would not understand. BTW, the Flemish have their own version of this stew. We call it hutseput and it is almost identical in terms of the general recipe except for the chicken (at least in our family). But all that aside, fantastic article with great color and detail. Loved it! My husbands family is from DePere. I hadn’t heard of Booyah prior to us dating. I’m gathering history for my kids. Are you willing to share your grandfather’s story and reciepe? Thanks!! Absolutely! When my great-grandpa Alex Hannon was a boy, in 1895, he and some other boys stole a chicken. They decided to make a soup out of it, and gathered all the vegetables they could find in the garden. And for added flavor they threw in some dark rabbit meat. Alex made it for the family ever since then, calling it “booyah,” which is Belgian for soup. So it’s chicken, he eventually used a beef bone instead of rabbit or squirrel, and corn, peas, – actually, my mother knows how to make it. I just know it did not have tomatoes or noodles or rice. I can’t remember, but I don’t think there’s potato, either. I could have her supply the recipe. She probably has a better version of the story, too. Email me at moberein@yahoo.com and I’ll get it for you. I just remember Mary Jane scoffing at me, saying you can never prove the source of a soup. And I said, hey, if you find someone who claimed to make it before he did, let me know. I know that booyah only became big around here after my mother introduced it at St. John’s. Yes, it had potatoes, green beans, peas, onion, and maybe corn. You have to add corn last though, don’t let that cook too long. And make sure all the vegetables are fresh. I love this story! My mother was Flemish Belgian from the Casco area, My Dad is German, from Seymour. They both loved booyah, so I was never sure where the recipe came from. But, we are Catholic & have gone to all of the Catholic church picnics for booyah every summer most of my life. I make my own booyah now & l love it! I wonder how much of the chicken is put in the pot to boil. I was told that someone eatting a bowl of Booyah at a church picnic found the chicken’s eye ball. I’m hoping he was joking. Great article!!! I met Mr. Rentmeester many years ago when I shared some family history for his book he was writing. Very interesting man! 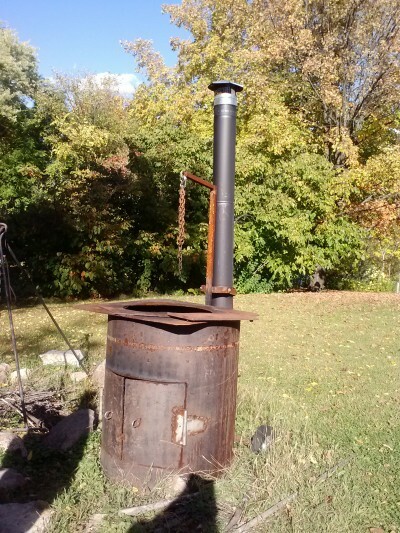 My husband and I are from Door County and made our first big batch (8 gallons) of chicken booyah in an outdoor kettle this fall! Love this story! So this IS the same Lee Rentmeester who mis-located the Arndt sawmill history! I knew the name was familiar. I’m the one who got Arndt’s REAL sawmill on the National Historic Register. Small world! Sorry, this is Lester, eh? Brother of Lee? I know a lot of families have a lot of different booyah recipes. I am looking for someone who can claim to have made it before my great-grandpa. It would be cool to find out Alex Hannon was the first. His recipe is simply chicken and beef (or squirrel or rabbit), corn, peas (not split), carrots, potatoes – no rice, noodles, tomatoes. People of course have been adding to it since, but if you make it with chicken and beef bone, that’s his original. I also have a family story regarding Booyah and it comes from the Green Bay area. My grandfather’s Uncle made a chicken soup that he sold at the Brown County Fairgrounds on Saturdays. The family name was Boyer. In Fre3nch it is pronounced Boy-A. In Brown County it is pronounced Boo-yah. His chicken soup came to be called Chicken Booyah after his name. I forgot to mention that he had been a lumberjack cook and made the soup in the lumber camps. Do you have a date, Joanne? My great-grandfather made it when he was 15, back in 1895. We’re looking for someone who can date it back farther than that. 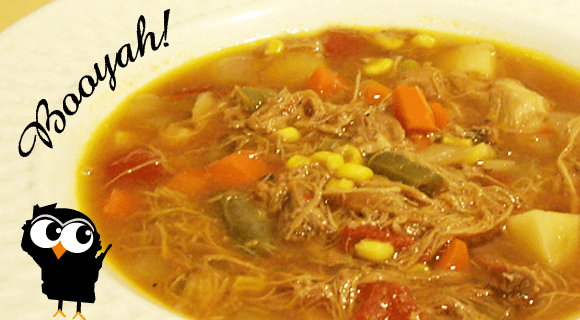 Chicken soup is not the same as chicken booyah – it has to be made with beef stock. Big difference. Alex Hannon also made it with squirrel and rabbit when he didn’t have beef. Makes a distinctive flavor. I wrote an article about it for a family news letter around 20 years ago. I will have to look and see if I can find it. My grandfather was born in 1869 and it was his uncle. My grandfather, his brothers and some of his uncles and cousins worked in the lumber camps in Northern Wisconsin. What a great story. You must stop at The Bar on Lime Kiln for another Great Bowl Of Booyah!!!. We serve it all the time. Thanks, Laura! I will have to stop by The Bar for some Booyah ; ) – I did write about The Bar’s gluten-free options in the Top 9 Gluten Free Restaurants in GB article too – you should check it out! oooooh! That’s awesome, Patrick! Why for free? Love the article and some of the follow up comments. Can do without some of the snarky ones though. You know who you are! Aww, thanks Tim! I appreciate your support and I’m glad you liked the article! This is very interesting and I met Lester while I was fire chief of the Village of Howard or the old people would call it Duck Creek. He is a very nice man and very intelligent. I also like the name Ashley, in fact I had a young female firefighter named Ashley, she wasn’t very big but she could handle herself. anyway, I like your article. You’re sweet, John. Thank you for reading – I’m glad you enjoyed it! And Howard’s fire chief? That’s awesome! I’m glad you got to meet Lester. How much liquid do you add to the soup? Hi Ron, I do have a couple of recipes listed at the bottom of the post by the Rentmeester Family. In the 20 gallon recipe, they call for 10 gallons of water to be added to Booyah kettle. Hope that helps! Thanks for sharing the article. I am also a Booyah maker and my last name is Rentmeester. I had heard the story before but never to the depth that it was reported. Now I am curious to know if Dan or Lester are part of my family tree. My late grandfather’s name is Isadore (Frip) Rentmeester and I am his Grandson Bob Jr. I make my Booyah from a 30 gallon cast kettle heated with fire and made with my own chickens I raise. I had a grandma named Angeline Champeau. I wonder if my grandmother once lived in that house. I always thought they lived in the Bay Settlement area. Thanks for the interesting history of Booyah. My father Earl Vanden Avond made Booyah at home in Preble for many years. I remember going to the Finger Road Church picnic and the VFW picnic as a child and enjoying delicious warm bowls of Booyah. Oxtail was the ingredient my Dad loved to use. He was a butcher, so he always added a lot of chicken, oxtail and beef to get a deep rich flavor. I think I need to make a pot right now. Yum! My grandma worked in the booyah shack many years and grandpa was 1 of the beer tent guards at Finger road church! 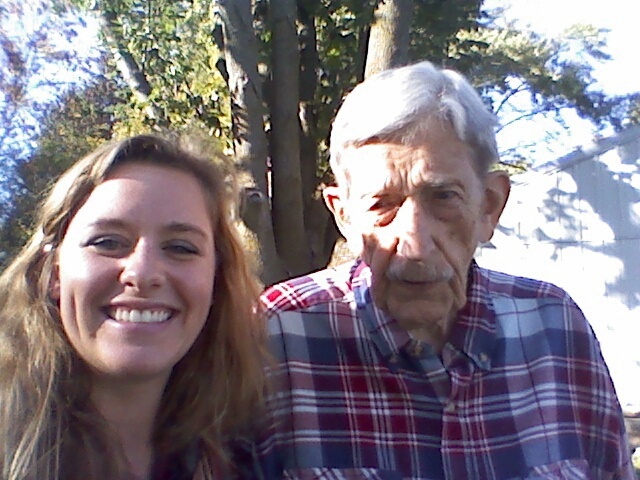 I’m Jim and Adeline’s granddaughter, my father was Rock! Very small world! Went back to the picnic years after they were gone and found out someone decided to add barley to it!!! Ugh……………. Wonderful article. 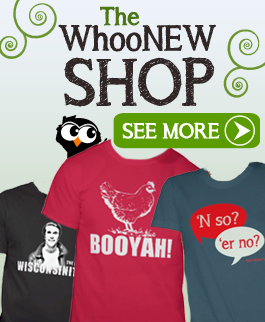 I grew up in Milwaukee and never heard about Booyah. Think I’ll have make some. This is awesome, thanks for sharing!! The second version sounds very much like what I hear my great uncle Bob Baye used to make for parish picnics in Green Bay. I’ve been waiting to try the recipe until it got cold, so I think I’ll have my chance soon 🙂 Love learning more about our Belgian roots here in GB! Walloons actually do have their own language, called Walon. It is a Romance language that certainly began as a dialect of what we now call French, but is distinct enough that a French-speaker would have great difficulty understanding it. Interesting – thanks Michael. Looked in to it a little further and you are right. A wikipedia article even mentions it was spoken in NE Wisconsin. Now we have to find someone who speaks Walon and find out if Booyah is a real word from that dialect or if it was actually created here – as the story goes. My husband’s great grandpa was making Booyah for sixty years with a cast iron kettle. Guess what!? His relatives came to WI from Belgium with the Rentmeesters and my husband’s father, grandfather, etc all went to Finger Rd School and Holy Martyrs. That explains why our recipe is almost that same recipe. We don’t add the pork or the pork and beans and sometimes we opt for green beans instead of peas. AWESOME article! Thanks! Great article. Good work. Thanks for sharing all this information. I’m half Belgian and half German, so have been exposed to so many foods from that area. I loved the article also! My mother was from Belgium with a Walloon/Flemish heritage, however, she did not make booyah; only your typical chicken soup. Thank you, Ashley for a beautiful story / history! God Bless Wisconsin! Remember as a child eating this wonderful soup at all family reunions. I seem to remember there was turtle added as well. Yummy. My mouth is watering. A turtle, really!? It just keeps getting better ; ) – Thanks for your comment, Vicki! yes, some people made turtle booyah! When I was growing up our neighbors did it that way…never tried it, couldn’t even begin to think about eating turtle!! Hannon had a story about adding his great-niece’s turtle to the soup! Didn’t know anyone else did it. Grew up on Booyah, Dad made it out side over a wood fire, now my brothers make it (Adapted to propane)…still LOVE IT!!!! Great article that covered so much about Booyah and our Finger Road heritage. It was rare that we enjoyed the booyah with beef. We grew up eating chicken booyah, perhaps it was cheaper to make. Loved the funny comment about the chicken eye balls. Now as a grandmom, I get to tell about my family German/Belgium heritage and eating Chicken Feet Soup. How’s that for frugal. My recipe is from my father in law, Jake Piontek, who lived out in Bay Settlement, it is like Dan’s but we do not put cabbage or tomato juice or lemon juice. We start at 6:00 AM and it is done usually by 1:00 PM and our party starts. Jake always smoked a cigar and at the bottom of my recipe I Say “Maybe a few ashes helped his taste so good” but our is always the talk of the area. We do our ox tail the day before and de-bone them and keep the broth they cook in. We winter in Florida and we are anxious to make it for the people down here. I want a smaller version of it to serve like maybe a dozen or 2. Make it 2, I can freeze the rest. I own a bar near Seymour WI. They make it all the time around here but I’m scared to ask how for fear they will laugh at me. EVERYONE knows how to make Booyah! But every family that makes Booyah claims their story is the true origin story, so…. That was my great-great uncle that I wrote about in my post above! He made it in the lumber camps he worked in and after he retired he would make a big batch of it every week and take it to the Brown County Fairgrounds and sell it by the bowl. I can’t remember his first name right now – I want to say it was James – but his last name is Boyea and many of the Boyea’s in Depere still pronounce it Boo-yah! At the time he was alive the surname was spelled Boyer, like the actor Charles Boyer. The spelling changed through the whole family around 1920. I will never forget eating booya at picnics on Grandma’s lawn out near Pulaski. We sat on long handmade rag rugs under her shady willow tree. Booyah was the first course….then came the brats, fresh corn, cukes, strawberries, and melon. She would have turned 100 on July 2nd. I will never forget her….and the memories she created for us. I’m 100% Belgian. When I was growing up, my grandmother would speak some Belgian to me ( I still know a couple words). When talking about Booyah though, she’d always correct me for pronouncing it wrong. She’d say “it’s booyahn, with an ‘n’!” Maybe this is why. Lol. I did always find it odd, when I got older, that it’s pronounced the same as bouillon, even though there’s no “n” in booyah. I grew up eating booyah at the church picnics in Green Bay. I remember corn being in the mix. I know it was rich, but I don’t recall the beef aspect or the cabbage…. but who really knew? By the time you got to it, it was melded together and so yummy. Brings back great memories of grandma and grandpa. Thanks for the story. That sounds really good – and I bet it actually is a lot different than chicken booyah. Booyah is delicious – but it is basically a hearty chicken soup that’s often made outside in a big kettle. But your dish sounds amazing to me – kind of like a funky jambalaya or something. I would definitely agree with the bouillon story of how it got it’s name. If you ever listen to the a Cajun say bouillon, you’d swear they were saying booyah. In Walloon, as in French, the “n” is not pronounced (only c. r. f, and l are pronounced) at the end of a word. Also, for what it’s worth, I agree with Mary Jane Herber, it is futile to even try to figure out the first family of Booyah in Green Bay! You’re probably right, it is futile. But it’s still fun to hear the stories! Thanks for stopping by and we loved the booyah joke! Thank you for your wonderful article. My mother, Lucille Jauquet, was one of Andrew Rentmeester’s students. Her stories of home were liberally sprinkled with references to her teacher, the Watermelons and Finger road. Also, the photo of Lester Rentmeester’s home looks strikingly similar to the house we grew up in, in Pennsylvania. Finally, the original way of eating booyah by the Walloons is exactly how I do it (and I never knew why!). I’ve made booyah several times in the past. I was given a couple different recipes and have heard many different comments over the years about what goes into it. Boyah is like chili in that everyone makes it with their own personal preferences. I’ve always said that I’ve had many different kinds of chili and “they are all good”. I can say the same about booyah. From all the comments I have heard over the years, I believe early boooyah basically is chicken soup made with a tough old stewing chicken that is not much good for baking or frying but great for soup because the meat won’t shread apart. Whatever vegetables available at the time of cooking were added in. That’s why there are so many variations. I was told that oxtail was added because “what else were you gonna do with it”. Anything and everything could end up in boooyah. So there isn’t any one “original” recipe and no one can claim to be the first one to make it here. But it is interesting to read about how it got to be a fixture at Northeast Wisconsin outdoor fundraisers and especially church picnics. I believe the Rentmeester story is true. I always wondered why we eat boiling soup on hot summer Sundays with sweat running down our faces. There is a way to prove where it started and my mother is going to try. It’ll be called “the Booyah Challenge.” Hope you’re all up for it! If this happens – please tell WhooNEW about it. 🙂 We’d love to write about a Booyah Challenge! I’m surprised, too, Jud that it hasn’t spread beyond that area. No one here in Madison I asked knows about it either. I will do that, Kasey – we’re hoping to get it in the Voyageur or Our Wisconsin. I was introduced to Chicken Booyah by my husband, who is of almost 100% Belgian ancestry. His parents were both from Green Bay WI. My mother-in-law, Anne always used to make it, and share. I love it! She used to mention eating it at the many church picnics in the Green Bay area when she was growing up. Hers recipe includes chicken peas carrots corn celery and I think potatoes, but best of all there were always large amounts of chicken gizzards. I grew up eating fried chicken gizzards, which I love, but they are by far the best in chicken booyah because they become somewhat tenderized during the long cooking process. Love, Love, Love Chicken Booyah. By the way, I believe Mary Ann Defnet is a cousin of my late father-in-law Delbert (Del) Beno. An excellent following and much information. Thanks to all. There is an annual Booyah festival in Cadott, Wi. every year around this time. Theirs was just this weekend and for next year please follow the Cadott Chamber of Commerce’s website for 2016 dates. I too grew up going to church picnics in the 70’s. I have fond memories of Booyah, game booths, beer tents, and roasted corn. I’m pretty sure we went to the church on Finger road too but it was so long ago. 40 some odd years later and 2000 miles away, I find myself wanting to make this for all my siblings who have those fond memories as well. I have scoured the internet and have found several recipes but I have no idea which one to chose. Unfortunately our family recipe went with my parents when they passed away 15 years ago and none of my living relatives seem to have it either. There are so many varieties out there….I know our Booyah was not red, so no tomatoes or tomato juice and I’m pretty sure there were no rutabagas or cabbage in it and definitely no peas or green beans. I don’t even remember if there was corn in it. I will have to do my best guess as to which recipe to choose. At any rate, I’m pretty excited…Will be making it this Saturday! Does anyone know if Booyah can be made ahead of time then frozen for use at a later date? Absolutely, Jeanne. I would not overcook the veggies, though. And freeze in smaller containers not as one big batch. By the way, everyone, Booyah is going to be featured on a cable TV show in October, called State Plate, hosted by Taylor Hicks. We filmed it in June in Green Bay. I’ll let you know when i know the date. Making booyah this weekend with my daughter in honor of my Belgian mom’s birthday. She passed away in December. I miss her terribly. She was born and raised in Green Bay and was a great fan of Belgian food. What kind of booyah do you make, Gail? The original with beef, chicken, potatoes and vegetables, or do you add cabbage and tomatoes. Be sure to watch State Plate on October 21st – new cable series with Taylor Hicks. 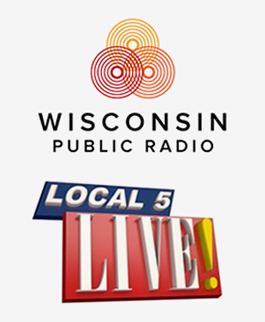 That’s the date he’ll feature Wisconsin, his premier episode! The chicken booya we had up in the U.P. Of Michigan was made with chicken as the only meat, and potatoes, carrots, onions. The essential flavoring spice was allspice. And a can of beer. Booya was always accompanied by Finnish eye bread with lots of butter. And more beer since it was usually made when swimming/camping. I lived in the U.P. for 18 years and travel it 18+ years. Never heard of booyah until I move to Green Bay, WI. “Chicken Boyoo” was mentioned around 1858 as being served up at the “first Kermiss” in Wisconsin, so we’re getting pretty close to “booyah”. The stainless steel tubs in some of the old wringer washing machines happen to fit perfectly into a 55 gallon drum, making a good booyah cooker. I’m sure there’s no end to booyah type recipes. You can look at my booyah article at http://www.grimmsetc.com to see a number of variations. However, the tradition in the Green Bay area started as a Walloon Belgian recipe and included the skin and bones of the chicken in the soup. This, I’ve come to learn, is very healthy for you! And this is the recipe that my family claims my great-grandfather Alex Hannon invented in the Champion area. I enjoyed reading the Michigan “beer booyah” too!